GEP-RC’s latest drone is designed for long range FPV flights. As its name says, the GEPRC Crocodile 7 quadcopter is compatible with 7 inch propellers. Thanks to the BN-220 GPS module, you won’t need to worry anymore about RC signal lost. The BetaFlight GPS recuse mode feature will guide the drone back to you (take off point). 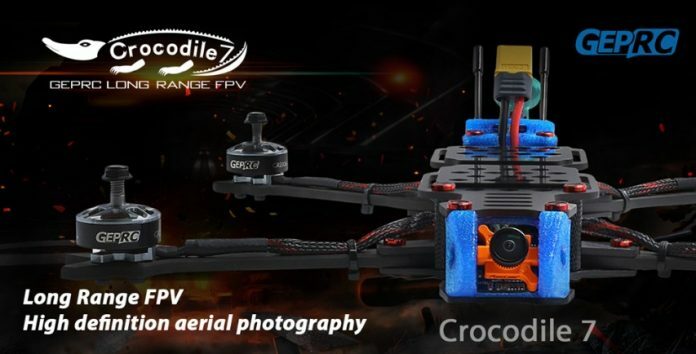 The GEPRC Crocodile 7 drone was announced in two versions. 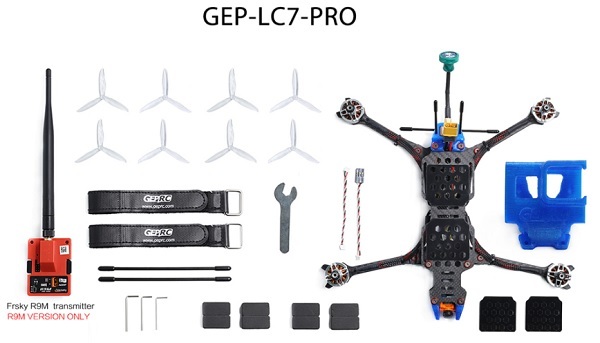 While the GEP-LC7-1080p comes with RunCam Split 2S DVR FPV camera, the GEP-LC7-PRO comes with a basic Runcam Micro Swift camera and 3D printed GoPro camera mount. Both versions are available with FrSky R9mm, FrSky XMPlus or FrSky R9mm+R9m receiver. Estimated flight time: 6 minutes with 6S/2200mAh) or 8 minutes with 6S/2600mAh. Both versions of GEP-RC Crocodile are available in PNP and BNF packages. While PNP variant requires complete radio system (receiver & transmitter), battery and charger, BNF version needs only a compatible remote controller, battery and charger. For FPV flights you will need a good quality FPV goggles.